Discover top adhesive brands at Sears Trostel and make sure that your material stays where you put it. 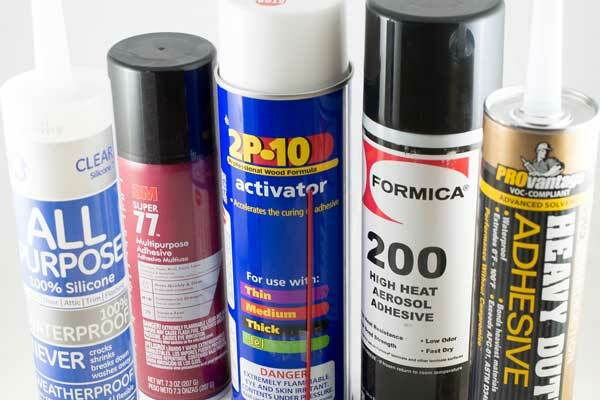 We carry a variety of adhesives for both general and specific uses, including all-purpose wood glue, spray-on adhesive, epoxy, construction adhesive, and contact cement. We also stock the accessories to make application easier Bottles, pumps, rollers, brushes, and syringes all help ensure your glue only goes where you want it. Mineral spirits and acetone help clean up afterwards. With most brands available in several sizes, eliminate waste and ensure you have the right amount for the job. 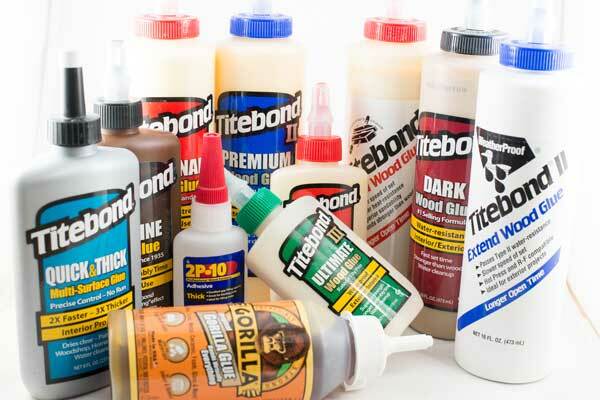 Titebond – We carry many of their top-selling formulas in sizes from 2 ounces to 2.15 gallons. Titebond offers water-resistant and waterproof formulas with variable assembly times. West Systems Epoxy – With several varieties of resins, hardeners and fillers, West System’s two-part epoxy provides flexibility in options. We also carry accessories such as their measuring pumps and mixing utensils, allowing for precise mixing. 2P-10 – We stock several thicknesses of 2P-10, ensuring you have the workable time and sticking power you need. We also have bottles and tips for precise application, and the spray-on activator to accelerate curing time. Gorilla Glue – A household name, Gorilla Glue is a versatile product that isn’t limited to wood. It can bond almost any material – including acrylic, wood, fabric, glass, and stone – and is waterproof and stainable. DAP Contact Cement – Ensure a solid bond between veneer, laminate, or metal and a wooden surface. 3M – We carry 3M’s Super 77, a spray-on adhesive to bond lightweight materials with a commercial strength.